ICCHE' CI VAH CI HOLE! Florence. Italy at it's best! Art, culture, life, fashion, history. 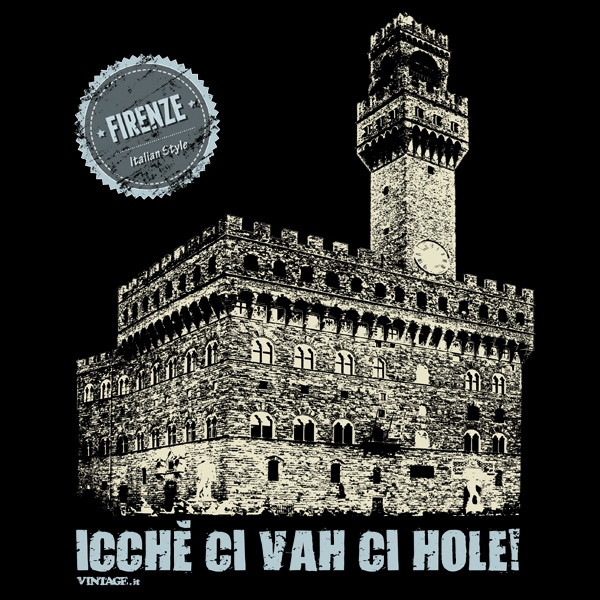 A t-shirt, a sentence: "Icché ci vah, ci hole" means: all that goes in is needed!